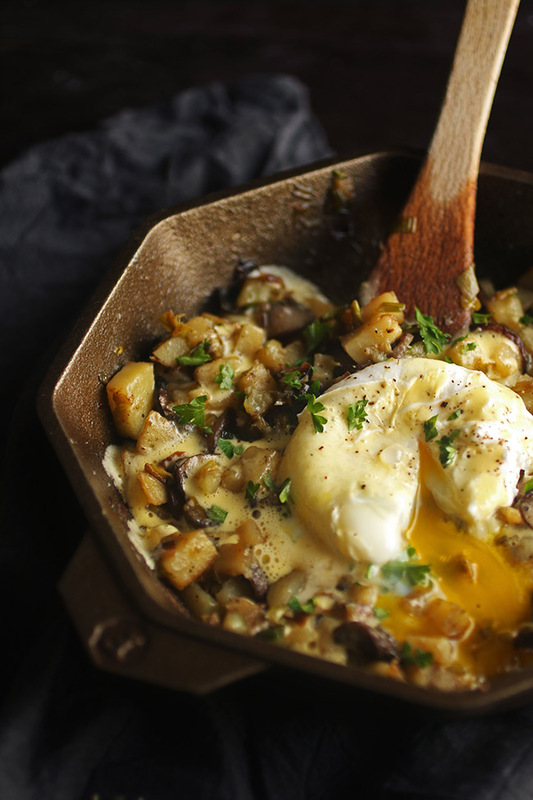 This easy breakfast hash recipe is sure to be a hit! 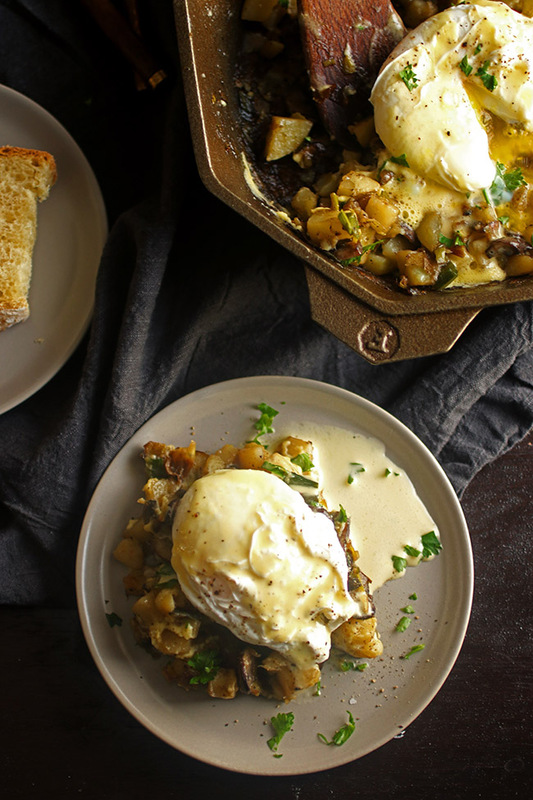 Potatoes, earthy leeks and mushrooms, and a buttery homemade hollandaise sauce make this a delicious brunch recipe option. Vegetarian. Ohhhhhhhh, breakfast hash. How I love thee. So perfectly paired with poached eggs and weekend mimosas and sleeping in until lunchtime. Also, can we just talk for a minute about the heaven that is poached eggs and their creamy, yolky, PURE GOLD centers because AAAAAAAHHHHH ⬇⬇⬇. I typically run straight for the bacon or some tasty chorizo when I’m making a breakfast hash, but this vegetarian version had been floating around my head for a few weeks and adding anything beyond some fresh leeks and earthy mushrooms just seemed unnecessary. It’s perfectly earthy, rich, filling, winter-y comfort food. And I dig it. Also, I topped the whole thing with some buttery hollandaise. Because duh. 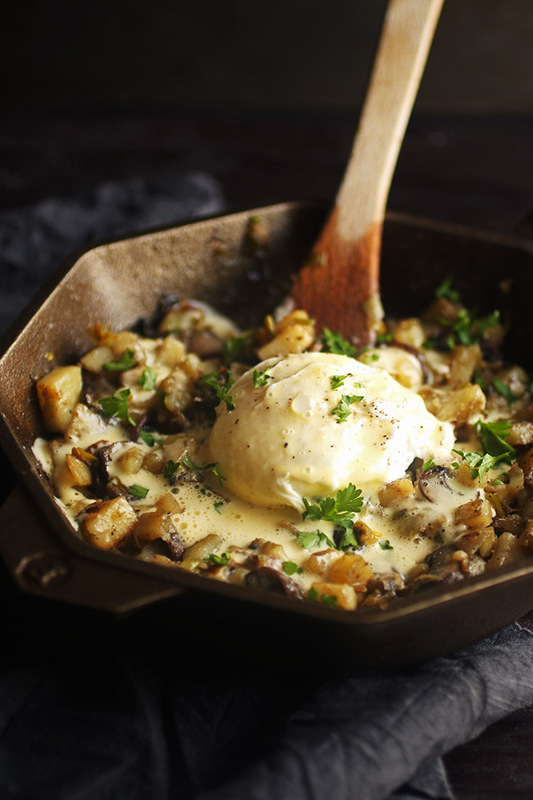 An easy vegetarian breakfast hash with blender hollandaise sauce. Heat olive oil in a very large skillet (my favorite one is ~12″ in diameter) over medium-high heat. 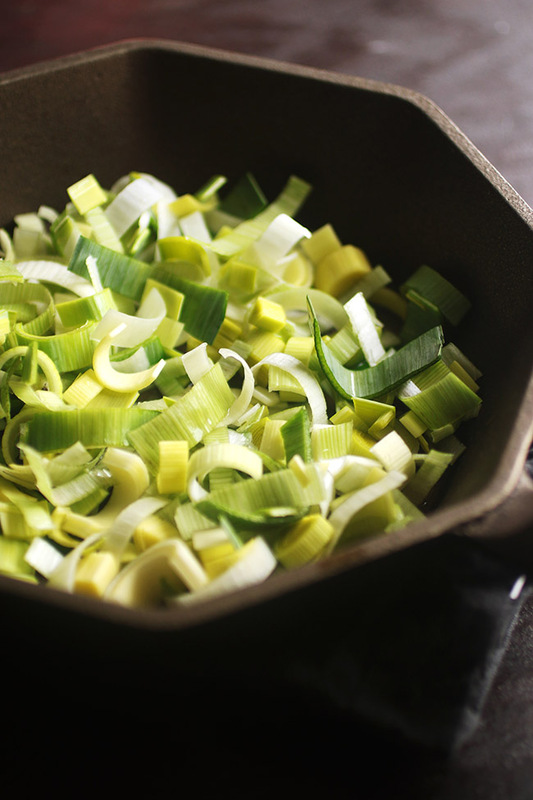 Add sliced leek and mushrooms and sauté for 3-4 minutes until the vegetables have reduced in size. Add diced potatoes to skillet and stir to combine. Cook potatoes, stirring occasionally, for approximately 10 minutes or until they’ve cooked through. If the potatoes are sticking to the pan too much, deglaze the skillet with a little bit (1/3 cup or so) of water or chicken stock and continue to cook the potatoes. When potatoes are just about done, poach your eggs in a pot of just-simmering water until the whites have cooked through, about 4 minutes. 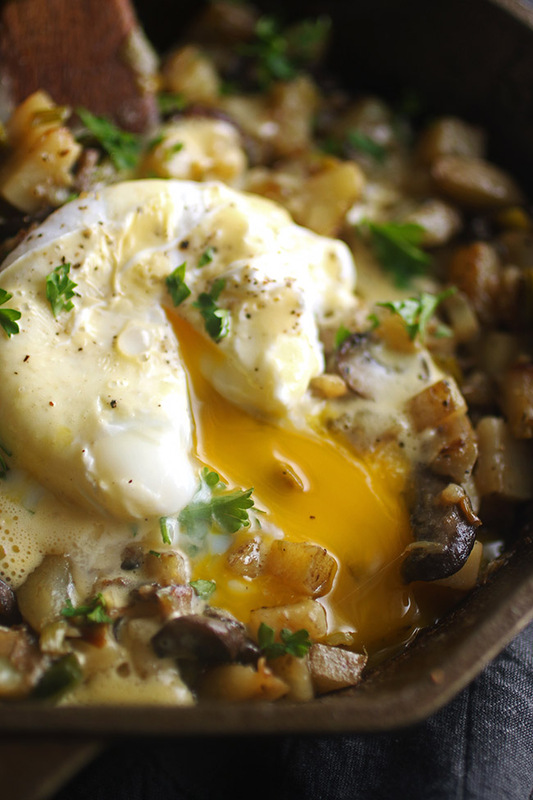 Top the hash with the poached eggs and top the eggs with another dash of salt and pepper. Top the whole thing with a generous drizzle of hollandaise (recipe below) and a handful of fresh chopped parsley. Add egg yolks, lemon juice, and salt to a tall, narrow cup that fits the head of an immersion blender. Melt butter in a saucepan (or in the microwave!) until a thermometer registers a butter temperature of around 200 degrees F.
Blend the egg mixture with the immersion blender until egg yolks have lightened in color. Stream hot butter in a little at a time while you run the immersion blender, letting the hot butter cook the eggs and blending until hollandaise is light and fluffy and all butter has been incorporated. If the hollandaise gets too thick, blend in a few teaspoons of water to loosen it before serving. 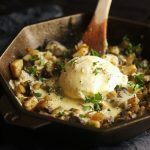 If you don’t have an immersion blender, you could also make this hollandaise in a regular blender. The smaller your potatoes are diced, the faster they’ll cook. 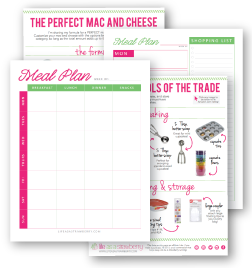 I like to do a small dice for this recipe – about 1/4″ cubes – so that the potatoes cook quickly and evenly. Leeks are very sandy, so be sure to clean them well before using! I like to slice my leek and then put the sliced pieces in a large bowl of cold water, then stir the pieces around to loosen any silt or sand. 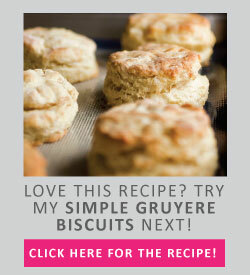 Pair with these simple gruyere biscuits, easy coconut oil biscuits, or my favorite crusty French bread! Your pics of the poached eggs “creamy, yolky, PURE GOLD centers” sold me. I was craving breakfast for dinner the other night and and just had to make this. It. Hit. The. Spot. So delicious and everything came together quickly! Thanks for a great recipe!